He is a real stormer, he has unbelievable shots on target and superb goals. He is the crown prince of Ronaldo. 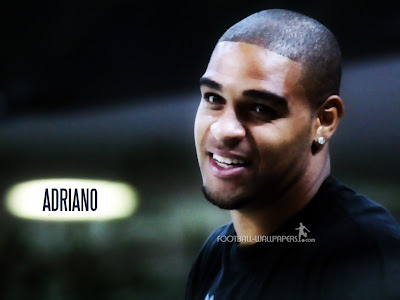 Adriano Leite Ribeiro (born February 17, 1982 in Rio de Janeiro, Brazil), known simply as Adriano, is a Brazilian footballer who plays for Inter Milan in the Italian Serie A.
Adriano is a burly player known for his agility, strength, balance, and ball control. His kicks are strong and accurate, though sometimes lacking technical execution, he is said to have one of the most powerful left feet in football. He began his career in the youth squad of Flamengo, and played in the pro squad between 1999 to 2001. 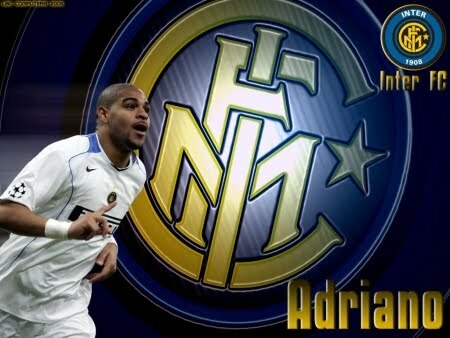 He came to international fame in his first appearance for Inter Milan, when he scored against Real Madrid in the 2001 Santiago Bernabeu Trophy with a powerful free kick in his first eight minutes on the pitch. With Inter already boasting first-class strikers, they loaned him out to ACF Fiorentina in 2002. In the summer of 2002, a 2-year co-ownership deal with Parma F.C. of the player was agreed. In Parma, he formed one of the most impressive striking duos of Serie's A last decade with Adrian Mutu. They each scored more than 15 goals with assists from each other. 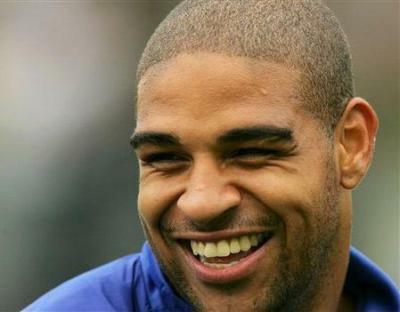 Adriano Leite RiberoHe returned to the Nerazzurri in 2004 and signed 4 and a half year contract and has since been an asset to the team. He had scored a total of 15 goals in his 16 appearances during the 2004-05 season. From 11 July 2004 through 25 June 2005, Adriano had scored an impressive total of 40 goals. 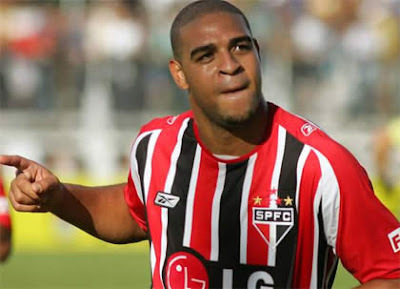 They had come from an assortment of matches (28) including appearances in: Serie A, Coppa Italia & Champions League games for Inter in 2004-05; Copa America, South American World Cup qualifying, and Confederations Cup games for Brazil. He visited Bahrain with his club and won a friendly match against Bahrains national team with a score of 6 to 1 goals in the 6th of January 2007. Two of the goals were scored by the Emperor himself. He met many of bahrains kind people, as he mentioned to reporters in the Gazzeta dello sport: "Bahrain has many nice people, I really enjoyed spending my time there and hope to visit it again some day". He mentioned a story which involved a drawing of him that was done by one of the bahraini civilians, which he liked and kept as a memory of visiting bahrain, alonside the insident which led to three bahraini fans arrest because of breaking into the stadium, which showed how the Emperor was loved in his visit to the Middle Eastern country.